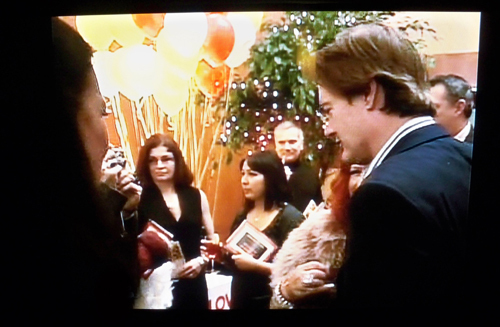 Since I was on a tv-screen-picture-taking spree with the Giada pics, I took a picture of the split second that you could see me on the Celebrity Apprentice back in May. Of course I am standing around staring blankly with a glass of cranberry juice and a breadstick in my hand. Classic. Hi Kyle MacLachlan! I liked you in Twin Peaks!